Landscaping is about more than just cutting grass or planting a new landscape, it involves all of the natural elements of your outdoor area. Think of it as a blank canvas, just waiting for you to create something beautiful on it! The outdoor areas of your property are just as important as the indoor ones. After all, that’s the first thing people see when they pass by. At Prolawn Outdoors, we understand the importance of keeping your landscape or lawn in good shape; it sends the message to passersby that you care about the finer things. As a detail-oriented company, Prolawn Outdoors is perfectly positioned to take care of all your landscaping needs. Once your new landscape is finished, our work isn’t done unless you say so! Many of our clients keep our business cards on hand for when they need a bit of upkeep, and even more of them schedule regular maintenance services with us. Our reliable and efficient services mean your landscape will always be in tip top shape, no matter what the season. We’ll keep your grass green, your hedges pruned and all your plants healthy and happy. 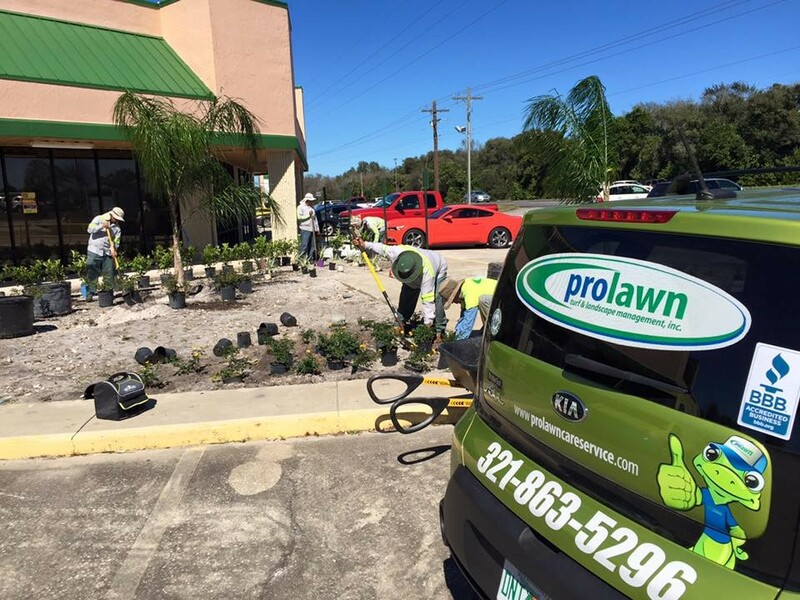 Prolawn Outdoors is experienced in all aspects of landscaping, ranging from the planting and upkeep of plants, the mowing of lawns, and installation and maintenance of irrigation systems, to keep your lawn green and lush day in and day out! Prolawn Outdoors has been in the landscaping business for long enough to have acquired many helpful tips for any resident looking to spruce up their outdoor areas. To start with, always have a clear plan for your lawn. It’s natural that ideas will change along the way, but starting with a solid portrait of where you want your landscape to be when you’re finished helps you stay focused and on-budget. On that note, have a budget! A budget not only helps you have some peace of mind, but it also helps Prolawn Outdoors figure out what is possible in the short term, and what should be worked towards over the long term. Finally, give us a call! The number one thing we recommend is getting some guidance from professionals, and Prolawn Outdoors’s history of providing residents with service that’s second to none make us an excellent choice for your next landscaping project. Contact Prolawn Outdoors Today to Get the landscape of Your Dreams! The first step in any landscaping endeavor should be picking up the phone and giving Prolawn Outdoors a call. With a reputation for beautifying properties, we’re the clear pick for any landscaping project you may have, no matter how big or small it is.